SWEAT + SIP at The Bourse! Looking to develop your inner chi? Join us every Saturday during February for SWEAT + SIP, our yoga pop-up hosted by Sweat Fitness. 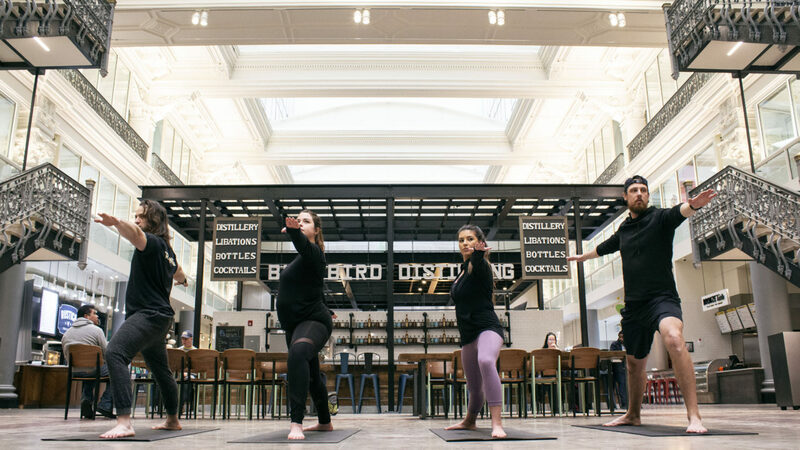 Center food hall will open up for this free yoga class followed by complimentary mimosas and bloody mary’s compliments of Grubhouse. Don’t miss your chance to strike your best warrior pose at this exclusive event! Space is limited. Tickets are released every Monday at 12:00 pm and are available here.